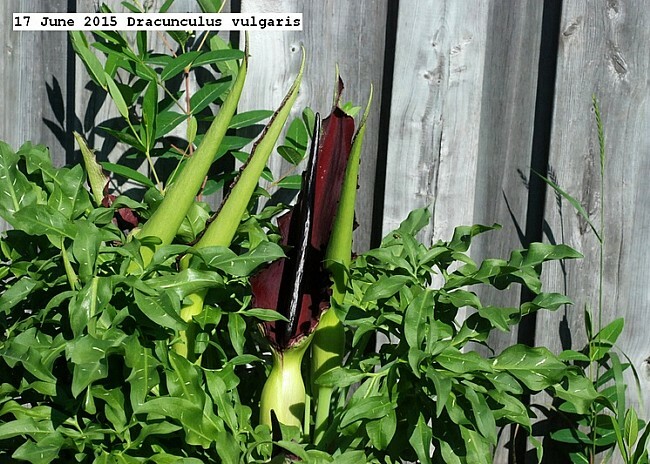 http://www.durgan.org/2015/June%202015/17%20June%202015%20Dracunculus%20vulgaris/HTML/ Dracunculus vulgaris (Voodoo Lily) is a perennial and starts growing in the Spring almost following the receding snow. It dies down completely during the early Summer. It is purely ornamental.It has a strong carnivore odor which attracts flies for pollination.